Get 10% OFF Denso Flashband Tape before 22nd December! Get 10% OFF 10 Metre Rolls of Denso Flashing Tape in Widths of 3" - 4" - 6" - 9" - 12" - 18" & 24"
Denso Builders Flashband Tape is a strong self-adhesive Roof Flashing Tape made of Coated Aluminium Foil and a Bitumen Adhesive. BE CONFIDENT TO USE DENSO FLASHBAND - IT WILL LAST FOR YEARS TO COME! 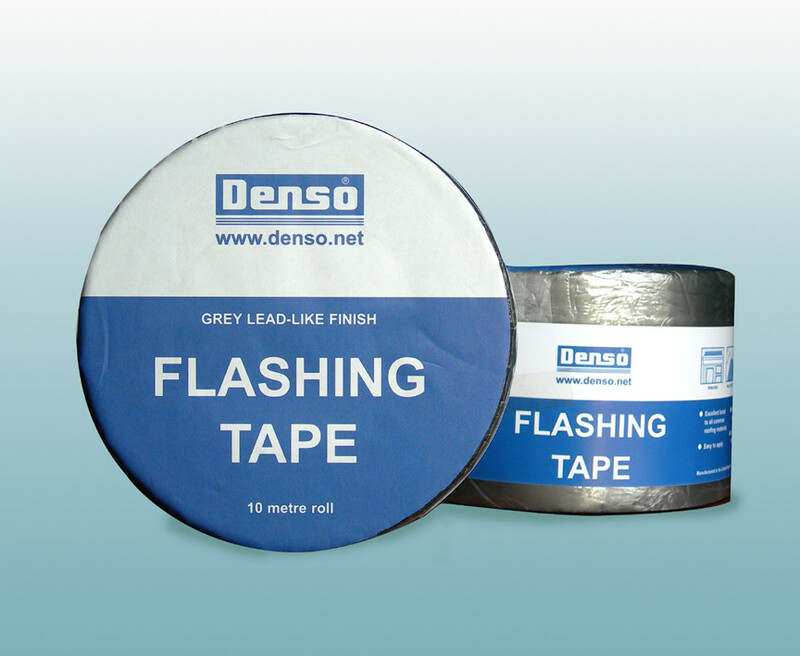 DENSO Flashband is not just a temporary repair product, it is also used in NEW BUILD work. Flashband 10M. Roll - High quality, self adhesive flashing tape, for general repairs, roof sealing work and new-build water­pro­ofing. Builders Flashband Tape is lead coloured, crease resistant flashing tape, containing an aluminium-foil, with a smooth grey surface and adhesive black bitumen backing. Flashband Tape looks like lead, but is easier to apply. Please make sure you are subscribed to our newsletter to catch even more special offers along with product updates and project ideas from JAS Timber, and don't forget - please leave a comment!